There are so many beautiful sights in nature during our summer months. 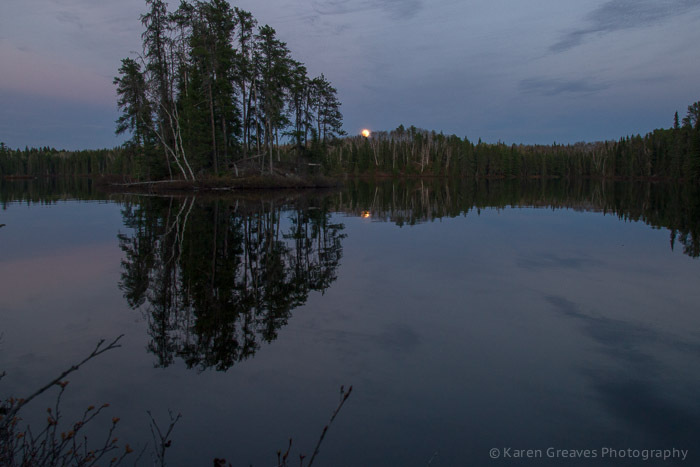 It’s difficult to pick favourites but reflections of the moonlight in a lake surface is definitely one of my top ten. Whether glass calm water mirrors the light or a light chop causes the light to dance, it provokes wonder in me. 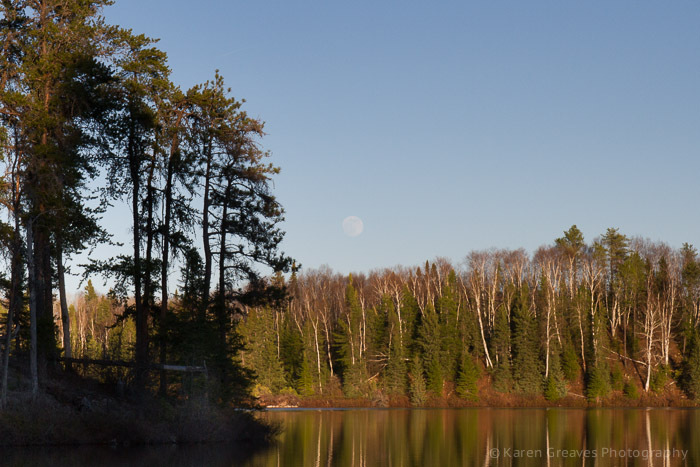 In my constant hunt for an exceptional moon rise shot and with my trusty The Photographer’s Ephemeris application (which I discussed in this post), I headed out to Raleigh Lake just west of Ignace to scout a location in advance of the May full moon. I was delighted to find a little island between shorelines. The moon was scheduled to rise 40 minutes before sunset so I knew the moon wouldn’t be very bright in the still lit sky. 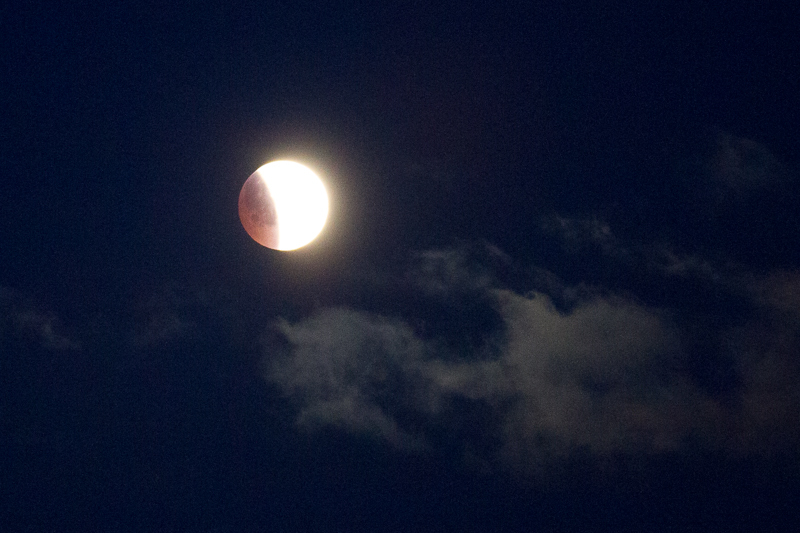 Sure enough, it rose where I expected and was quite faint. I was still pleased with the angle and foreground/water. Here’s a resulting shot. Do you see the moon? Here’s a closer look. The schedule for the following day, Friday, May 25 was full moon at 23:24; moonrise at 20:35; sunset at 20:55. 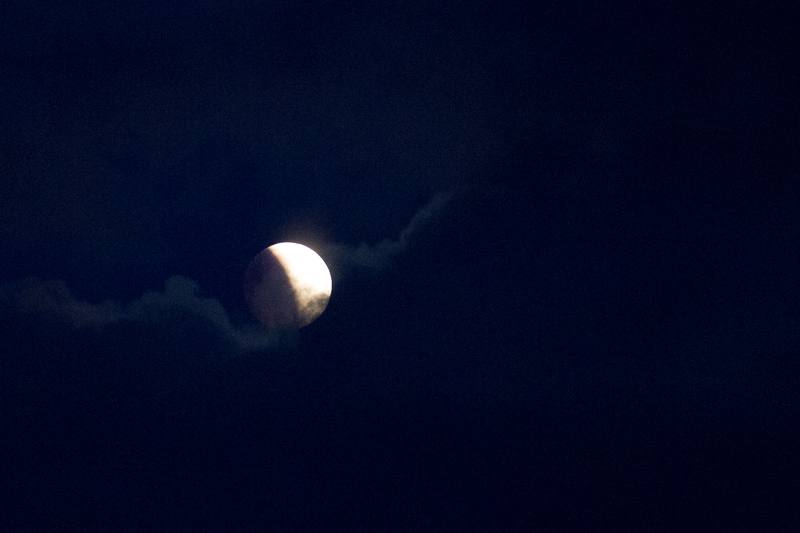 The conditions would be better for a brighter moon on the horizon. I brought along a friend and a couple of flashlights so we could help each other find our way back in the pending darkness. 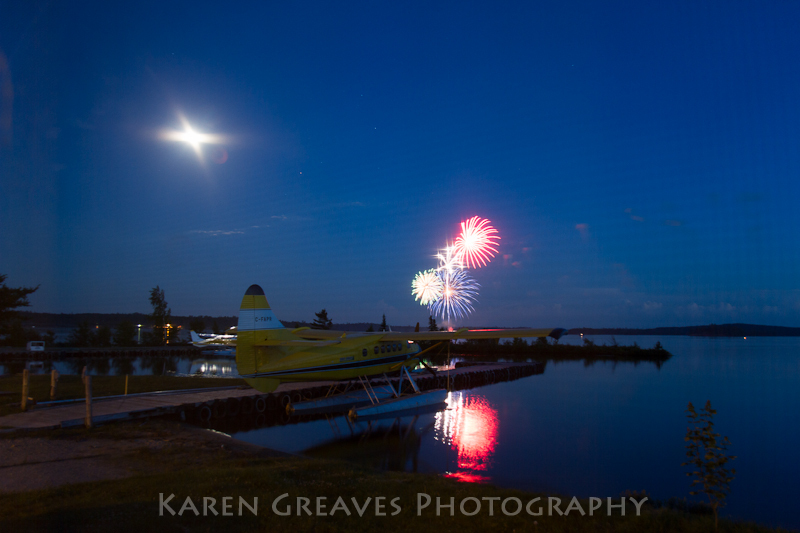 Thankfully, the sky was clear (again), the bugs tolerable and the water calm. It was worth the wait! What a night! Could it get better? In a way it did. 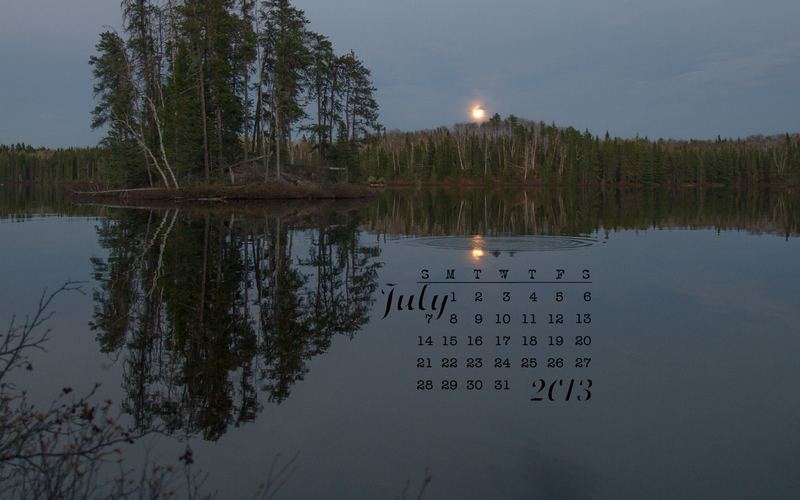 Take a close look at the moon reflection in the image I selected and brightened for my July desktop calendar. The ripples were a result of a fish surfacing for a snack. 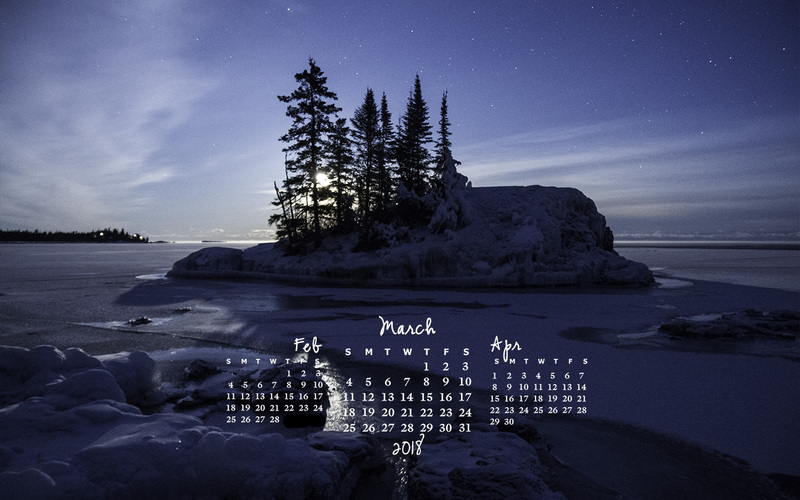 For specific screen resolutions of the calendar, drop down the Free Calendar tab at the top of the page or click here. PS It was only a few days ago that an observant follower of my blog discovered that I had 31 days on my June desktop calendar! Oops. Sorry about that. I have been on a hunt for a specific shot for several years now. 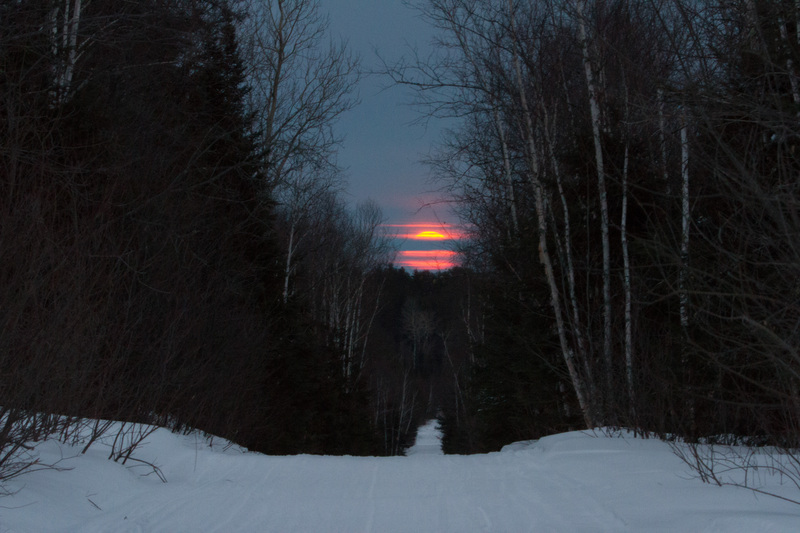 It’s been a photographic challenge to capture the moon; not just the moon but a full moon as it rises. This task is made difficult for a number of reasons. First, the moon is full every 28 days. Second, it’s rotation around the earth as the earth rotates means the moon may be full and rise during bright daylight. Third, in a month when it will be visible in darker hours, sky conditions may conceal it altogether. And, knowing where exactly on the horizon it will appear is difficult to know for sure. 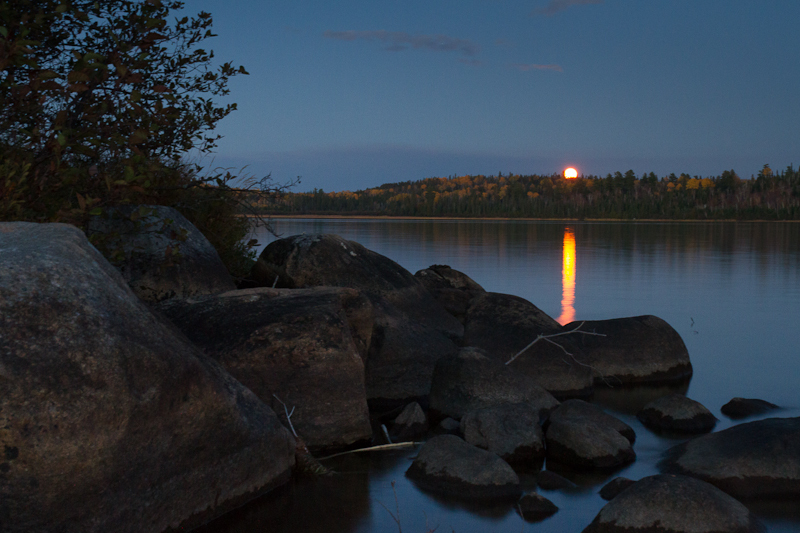 Last summer, I caught the moon at Sandbar Lake just a little late. The post is here. 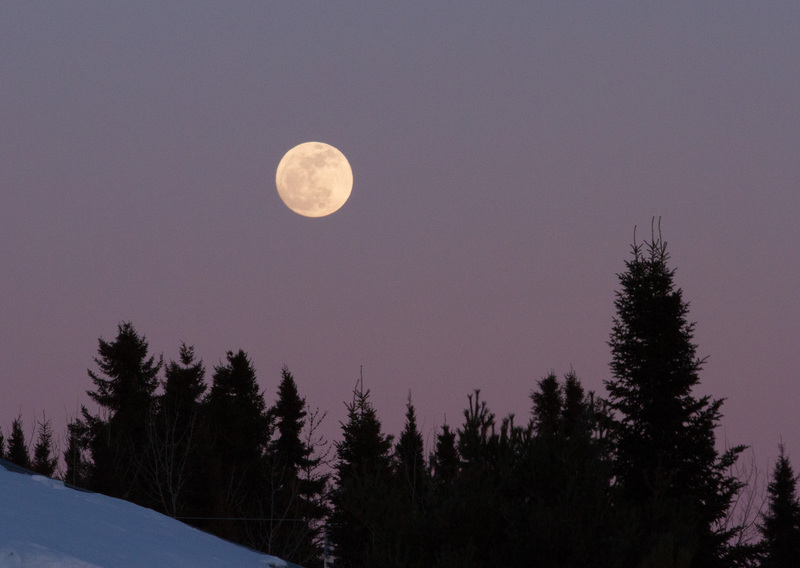 The best light for moon pictures is at dawn or dusk. The darker the sky the brighter the moon will appear and the more blown out in a picture. Sunrise and sunset data is readily available on weather site. Moon rise and set is a little harder to find. Where it will rise relative to where you are is even more difficult to determine. 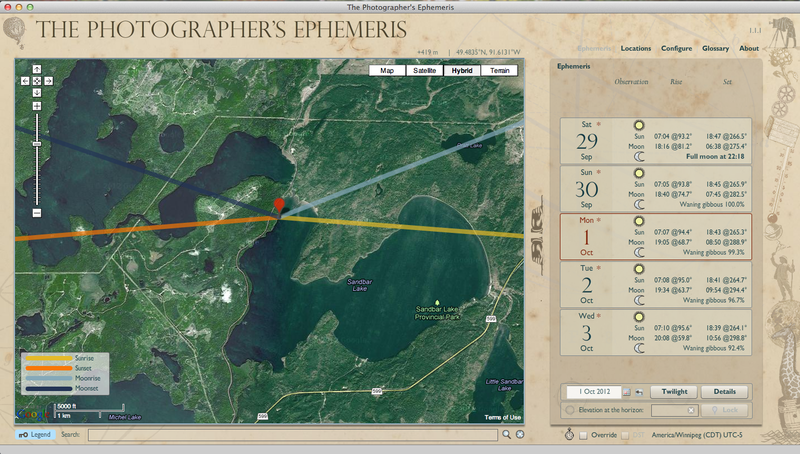 I’ve found an amazing application (free for desktop and $8.99 for smart phones) called The Photographer’s Ephermeris. This app allows you to pinpoint your location anywhere in the world for any day and it will give you the angle and time of both sun and moon rise and set. 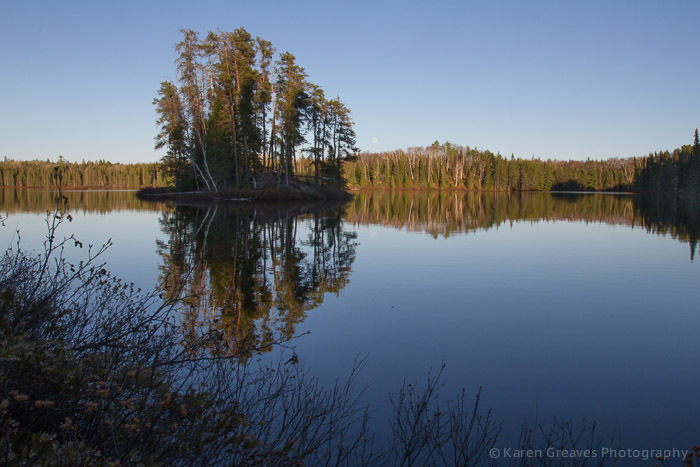 Here’s the screen shot from my desktop yesterday when I pinned the west shore of Sandbar Lake not far from my home. 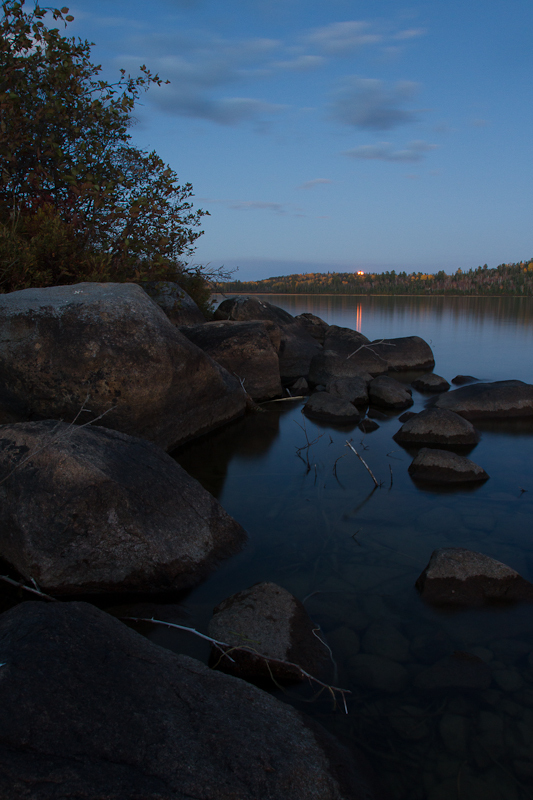 I was hoping there would be an attractive foreground and not too distant lake shore for my shot. With the app on my iPhone, tripod and flashlight added to my camera gear, my happy hound and I headed up the gravel road about 20 minutes before the estimated moon rise time. The shoreline of Sandbar is not readily accessed along this west side. A short walk through the brush brought me to the shore approximately where I pinned. With the compass in the app pointed north, I realized the angle would be directly along the shore I was on. I had my rubber boots on so headed north along the lake edge just in the water. Turns out my boots were just a little shorter than the water was deep! Ah, the price we pay to get the shot we want. Finally, I found a bit of a bay and set up. And waited. Photo tip: Next time (I still want more) I will bring a second tripod and camera body so I don’t have to fumble around to switch lenses. The moon rises relatively quickly and with darkness descending even more quickly, I wasn’t able to get set with the bigger lense. 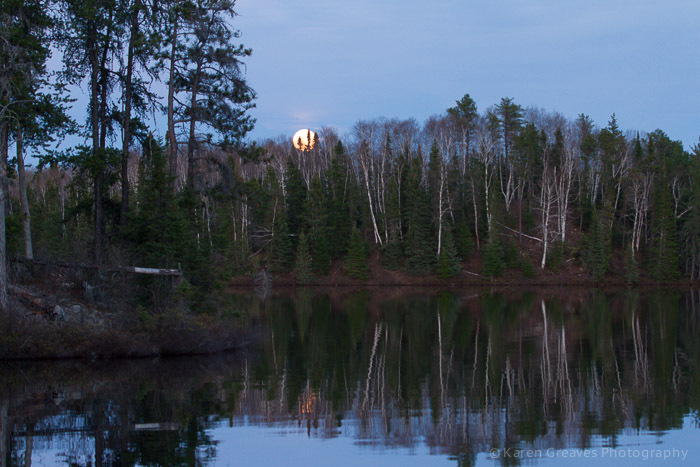 Next full moon is Oct 29….